How do we provide our students voice in our classrooms? In one of my graduate classes in urban education, I am reading a book by bell hooks (she chooses not to capitalize her name), Teaching to Transgress. In the book, hooks talks about voice and since reading this selection, my initial question keeps swirling round in my head because we teach language. I think most of us would say “Of course my students have voice, they speak in class”. But by voice we really mean how to we ensure that every student t is an integral part of the class and learning. Ensuring student voice builds community, develops critical thinking and self-awareness, increases student engagement. Creating classrooms where students feel comfortable enough to share their voice is critical if we are to teach to promote student growth. This is not a just making students feel “safe”. Safety is important yes but so is building a community focused on openness and intellectual rigor. How do we, as leaders in our classrooms, recognize the importance of every voice. Yes those words send many of us into a panic! Every student? EVERY SINGLE STUDENT? We often shift blame to students by focusing on what they won’t do instead of focusing how we can engage every student. Ensuring voice in a respectful way for each an every student creates a platform where they can all be heard. hooks says “to hear each other, to listen to each other, is an act in recognition. It ensures that no student remains invisible in the classroom.” Using activities such as total participation techniques, pair and small group work are key strategies in our language classrooms to ensure voice. Already doing that? How about giving students voice in what vocabulary they learn? One way we do this in SCS is by providing students sentence frames (or applied grammar). How they choose to fill in the blank depends on their interests, likes, personality etc.. As a class many rooms decide on some common words but students are welcome to select and add vocabulary based on their interests provided they can explain what it is in the target language. It is not uncommon for students to borrow comprehensible input strategies like acting out words or drawing pictures to support peers understanding. This provides voice in an important way. This allows not only the student to be recognized but also provides them a role to personalize the content thus validating their choices and interests in an equitably important way. Offering students the opportunity to be heard, recognized in the classroom develops critical thinking and self-awareness. As language educators we have an ideal environment to promote both critical thinking and self-awareness. While social studies classes are great at looking at surface culture, like products of countries they study, it is in language classes that we can explore interculturality. This act of participating in cultural practices such as culturally appropriate greetings, opening and closing of class, how the teacher is addressed are opportunities for students to participate in new forms of interaction but also opportunities to reflect over how they perform the same interactions and what their experiences are. Our students represent such a wide array of experiences and beliefs we miss deep learning opportunities when we do not encourage reflection over how we do things as compared with the target culture, why do we this an why might it be different? Teaching students another language is our primary goal in any language classroom. I think that we must also recognize the importance of critical thinking and self-awareness in preparing students to work with others in this flat world. We may not know the jobs or careers for which we are preparing students but we do know that odds are, they will be in contact with other humans who may have a different way of doing things. It is important to stress different and not assign value judgments to it. If we are to truly prepare proficient language users, then we are also responsible for providing opportunities for students to reflect. I envision this as a home assignment and not even completed in the classroom. This kind of deep thinking should respect the needs of each learner in regard to space and place. Providing opportunities for students to take a deep dive into the rubrics you use by applying it to their own work is one of the best ways to increase ownership in their work. Looking at work through the same lens as the teacher provides an intimate connection with both the indicators of success as they align to the their own work. Of course this can be done for peers as well. Use this as an opportunity to check for learning. What are some areas for growth? What performance level do you think you have achieved? What do you need to do to grow toward the next performance level? Empowering students to self and peer assess engages students in self reflection but shifts ownership of the score to the student. When we as teachers collect work and score it or even score based on right or wrong answers, we own the power of the classroom. 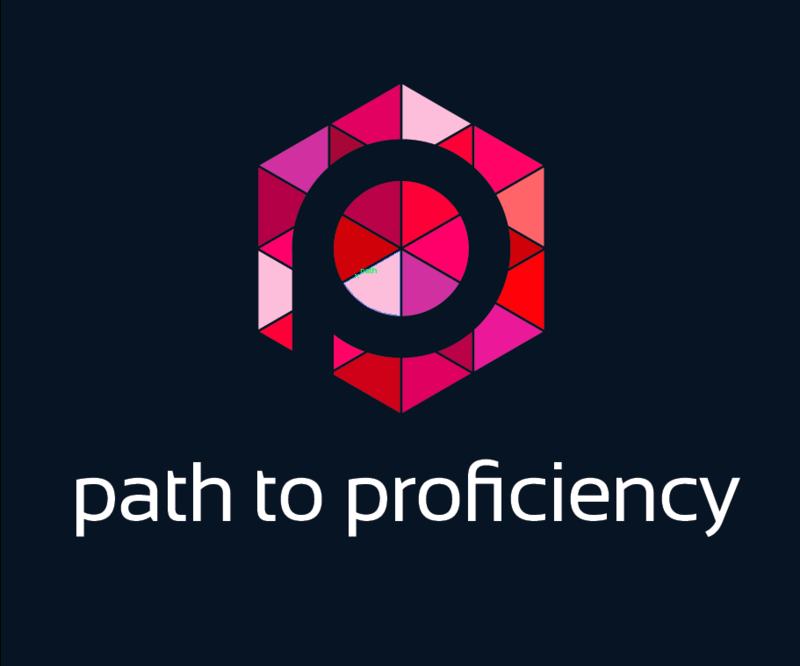 Engaging students in performance and proficiency shares not only the power but also the responsibility for growing toward and beyond the targets. Partnering with students is the most effective way to increase student buy in and ultimately motivation and engagement. When students are respected as partners in the process o f learning they are more likely to engage with us, even when the going gets tough. We see that grit or tenacity when students feel supported and respected. Language learning can be scary process for many of our students. At a time in their life when they are so sensitive to peer opinions, we ask them to use a new language, to make mistakes and publicly fail forward. Building community is the best way to create a safe and secure environment necessary to take risks by using the language. Honoring the expertise, knowledge and life experience our students bring to class can be accomplished through providing them voice. Building strong communities of learners who respect each member of the group for who they are and what they contribute. Each member of the community adds a unique dimension to class, without which it would not be the same. It could not be the same. Ensuring that students all understand they are an important part of this classroom dynamic supports language learning in a powerful way. It engages students in learning and in supporting their peers learning in a powerful way. We are responsible for the dynamic of our classrooms. Creating this dynamic requires we ensuring that every student is an integral part of the class and learning and feels that. How do you already provide voice to students? What else could you do?